In the dark, a funky beat. Something white with bony feet. 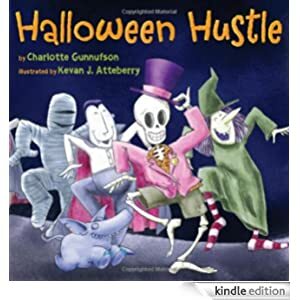 Skeleton dancing up the street, Doing the Halloween Hustle. Skeleton is dancing his way to a Halloween party—but as he grooves across town, he keeps stumbling, tumbling, and falling apart! Can Skeleton stay in one piece long enough to make it to the party? This Kindle Fire book is for young readers ages 3-7 and is selling for only 99 cents today.